Around this time in 2016, my article "Kuhnhackl in the (Time Out) Corner" was published. It told of the struggles the young forward was having early on in the 2016-2017 season, his lack of playing time, and his subsequent benching that had fans and media alike scratching their heads. The 25 year old winger didn't even see much playing time during the Stanley Cup Playoffs or in the Finals due to a nagging and lingering injury. This allowed fellow forward Scott Wilson to raise his game and put into question if Kuhnhackl, who has never been the flashiest of players, would be used as possible trade bait in the coming off season. Fast forward a few months and the scene looks much different. Tom Kuhnhackl seems to have found new life in the shortened offseason and has been showing his reliance and strength at any given opportunity. In fact, there seems to be so much of a positive change in his overall play that the coaching staff too notice and when Patric Honrqvist returned from injury on October 11, it was Scott Wilson who sat in the press box as a healthy scratch. That left Kuhnhackl on the line with Carter Rowney and Ryan Reaves. It would then be Wilson, who struggled out of the gate when the regular season began, who would go on to be traded to the Detroit Red Wings for Center Riley Sheahan just a short two weeks later. Quite the turn of events. 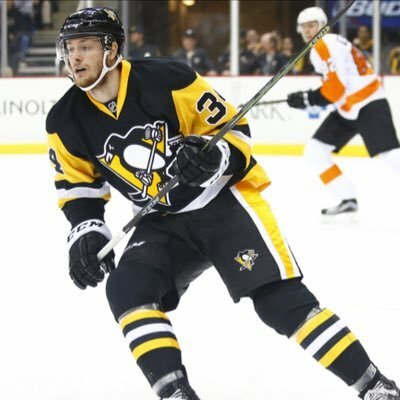 During Friday October 20th's game versus the Florida Panthers, Kuhnhackl's ice time was extended immensely from his previous three games (playing 12 minutes, 45 seconds). During the game, it would the fourth line of Kuhnhackl, Rowney and Reaves that would create the most offensive zone time and carry the most momentum throughout the game which was a leading factor in the uptick in ice time. Kuhnhackl, who would have a game high of six hits versus the Panthers and a blocked shot, would also tally assist number three on the season on a terrific feed on a Carter Rowney goal. Though the season is still in its early weeks, having Kuhnhackl seemingly back to original form is quite a blessing. One of the keys to the Penguins post season success has been the ability to roll all four lines with success while generating scoring from each line. Kuhnhackl could, and should, be a key to that trend continuing as the Penguins march on in their quest to a third straight Cup victory.